If you want to give your bathroom an upgrade that is both functional yet stylish then a shower rigid riser kit could be the answer. Available in a wide range of designs that?ll complement both modern and traditional bathrooms, these kits are beginning to grow in popularity due to their good looks and simplicity. Here we?ll be giving you a bit more detail about what they are and why one could benefit you. What exactly is a rigid riser kit? 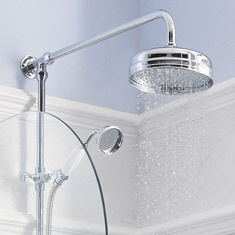 These kits feature a long metal pipe which is attached to a shower head. Some of them will also include a handset which is attached to a flexible hose for added practicality. 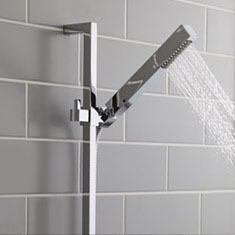 Shower rigid riser kits not only offer a practical way to cleanse, but they are also stylish fixtures that will help to continue your chosen look, be it contemporary or nostalgic. They?ve always been really popular in traditional bathrooms but we?re seeing more and more of them appearing in modern renovations too so they?re quite versatile fixtures. 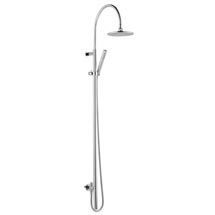 These showers are also built to last; we supply products from industry-leading brands so many of them come with lengthy guarantees which reflect their quality. What if I have a small bathroom? If your bathroom happens to have a particularly low ceiling then we wouldn?t recommend installing a rigid riser kit as you may discover that it doesn?t fit properly. We recommend taking measurements of your bathroom before making any purchases if you?re unsure of how much space you have. You?ll find the dimensions of these kits in their product description. Fitting a rigid riser kit yourself shouldn?t prove too much of a challenge if you have previous experience with this kind of installation. If you?re a DIY novice however we strongly suggest that you contact a professional and have them to the work for you as this will give you peace of mind that everything is fitted correctly.